Home The Dimplex Opti-V range: no fumes, no fuss! Experience a visual fireplace experience like no other with the Dimplex Opti-V range. Boasting the most realistic flame experience you’ve ever beheld, the stylish range cleverly uses the latest in High Definition TV technology to create flickering flames in a 3D bed of logs. Combining ultra-realistic flames and the comforting sound of crackling logs, these feature items create a true illusion of a real fire. For homeowners looking for a luxurious stove to enhance their interior design, but without the complexity, mess and maintenance of a solid fuel fire, the Sunningdale is the ideal choice. 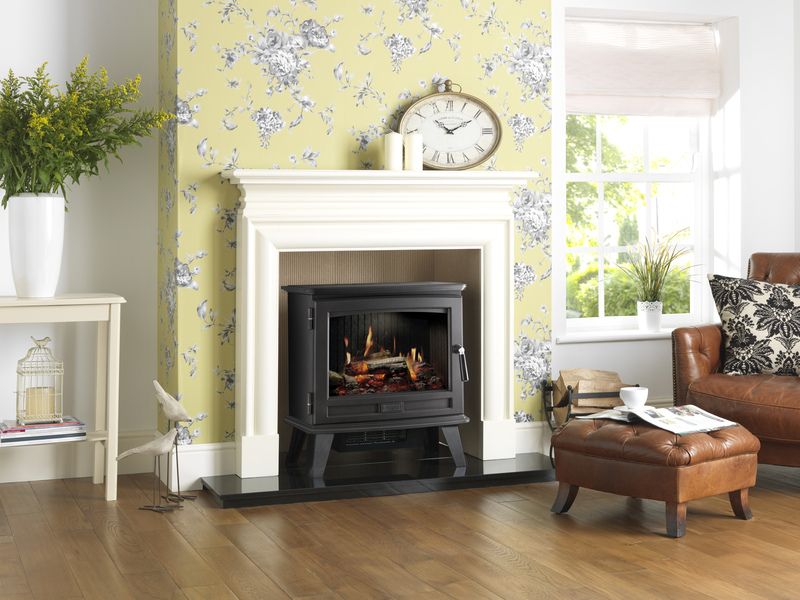 Combining all the best that Dimplex has to offer, this cast iron-style, freestanding stove in a graphite finish features Opti-V technology, offering realistic 3D effects of sparks and flickering flames. Whilst the LCD high definition TV screen delivers on visual appeal, the stove also emits crackling log sound effects. Add to this the 2kW heat output from the electric fire, and the hassle-free illusion of a solid fuel stove is complete. 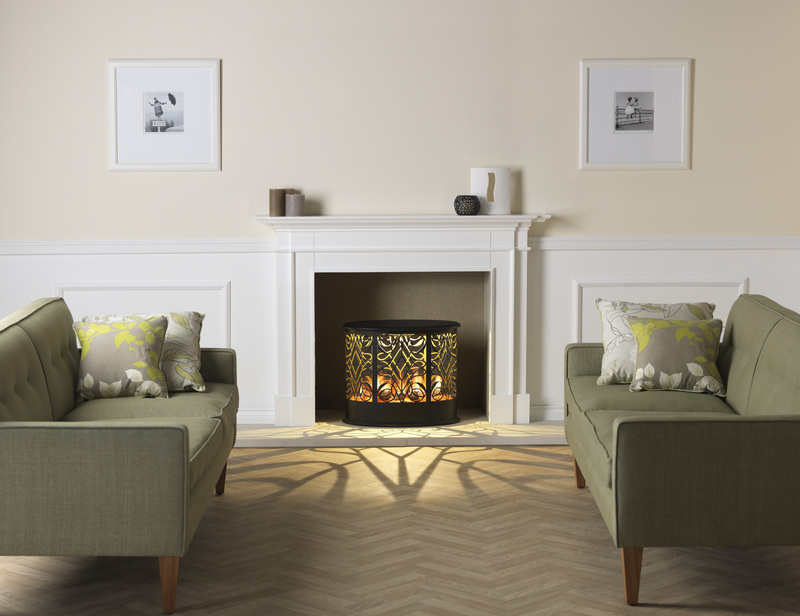 If you would prefer to sit down and enjoy the effect of warming flames, but without the need for a heating output, then the freestanding Dimplex Opti-V Cellini and Volterra feature fires are the perfect blend of magic and realism. Both stoves are available in a sleek black finish and offer Opti-V technology so you can retain the ambience of a burning fire all year round, all at the running cost of a lightbulb. 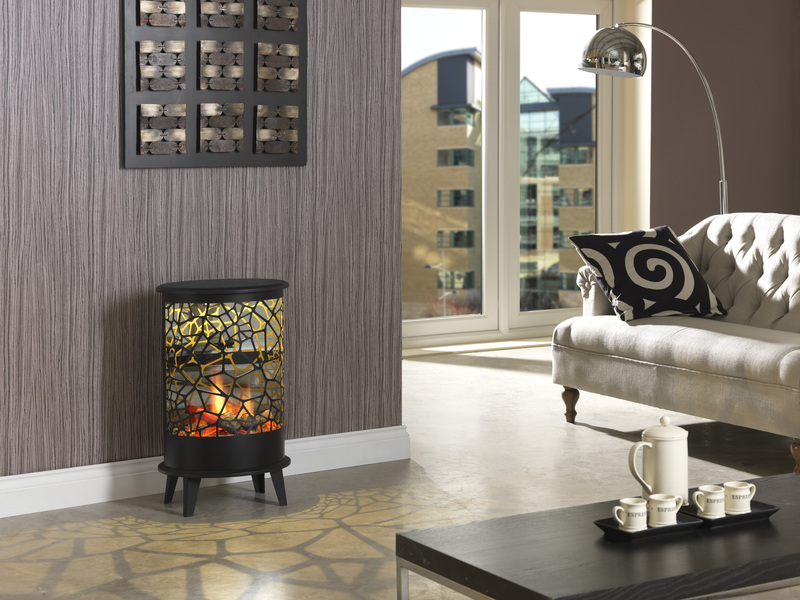 Quick and easy to install, the Opti-V range simply plugs in for the realistic flame effect to be enjoyed instantly. For added convenience, they can all be controlled from the comfort of a chair, using a remote control. 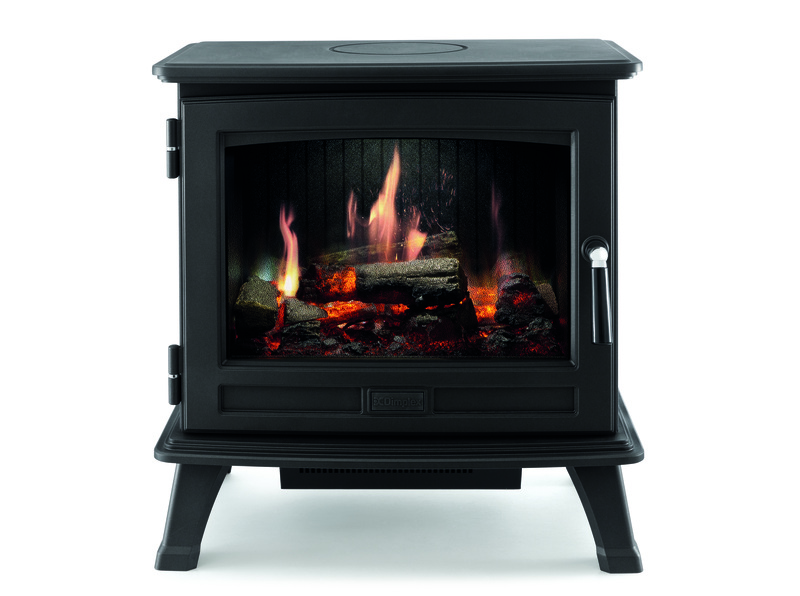 A cast-iron style, freestanding stove in a graphite finish featuring an LCD high definition TV screen with Opti-V technology.